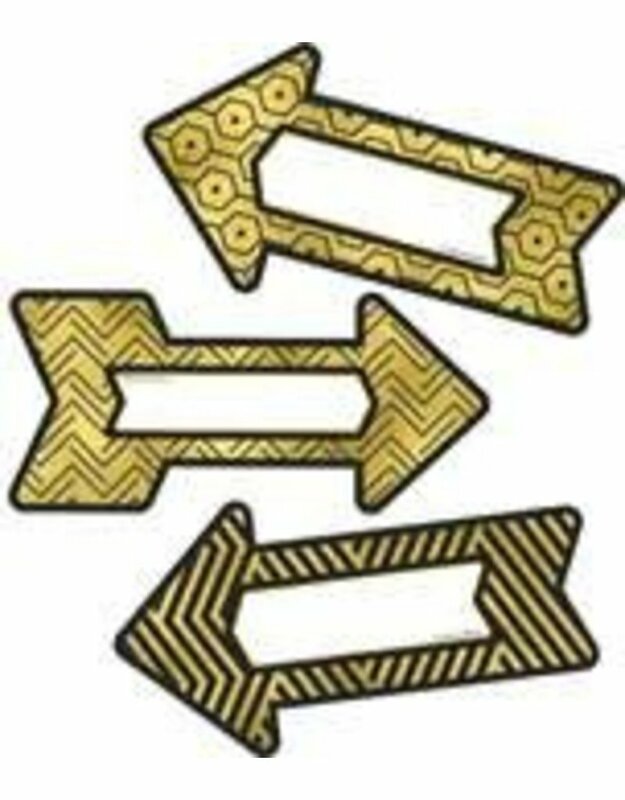 The 36-piece Sparkle + Shine Black and Gold Arrows Colorful Cut-Outs(R) pack contains 12 each of the following shapes and patterns:-12 hexagons-12 stripes-12 zigzagsPrinted on card stock, durable classroom cut-outs are ideal for a variety of purposes. Play games, label desks, and enhance bulletin boards with assorted Colorful Cut-Outs. With a wide variety of shapes, colors, and styles, classroom cut-outs are perfect to use as game pieces, cubby tags, and more. To create a cohesive theme, be sure to browse coordinating Sparkle + Shine classroom décor.